Explore our project page for ideas and inspiration. The All About page is great for the basics. Click below to contact us. 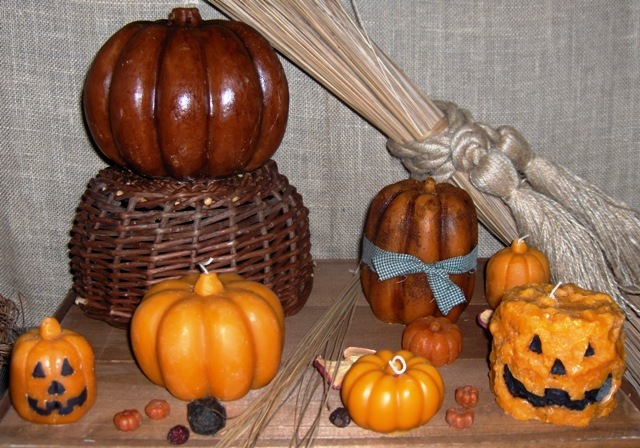 Votives are so versatile and everybody loves them. These candy corn votives make great gifts and they are fast and easy to make. Layered votives are made by pouring the wax in layers of different colors into the votive cups. Who can resist a jack-o-lantern at Halloween? Pumpkin carving has evolved into an art form and there are so many different personalities that you can create with just a paintbrush and some black paint. The coloring and fragrance of a candle can make it stand out and tranform the look immensly. 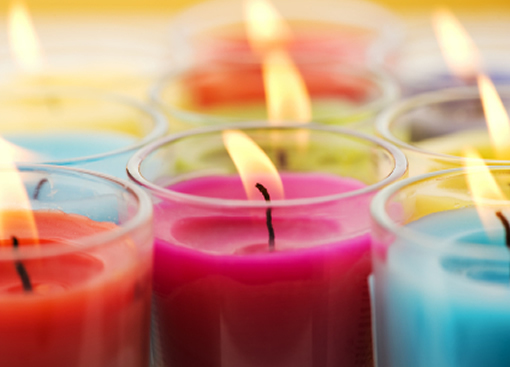 Color and scent can help you customize your candle for your specific customers. To get started please visit our website for supplies and additional information.